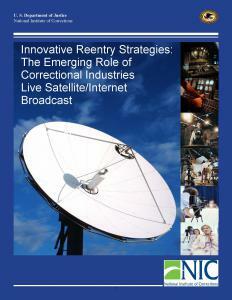 The NIC Correctional Industries Initiative serves as a catalyst to provide Industries staff and their stakeholders with the information, expertise, and capacity needed to identify relevant organizational priorities, establish strategic objectives, identify measurable goals and objectives, create partnerships, and respond to the reentry needs of the offender population. 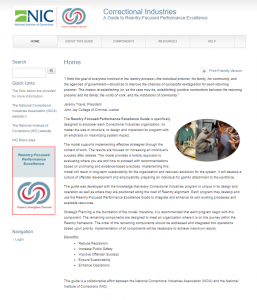 Additionally, the practitioners learn to use current labor market information to help them provide offenders with specialized services and programming that support the offender’s long-term attachment to the labor force. 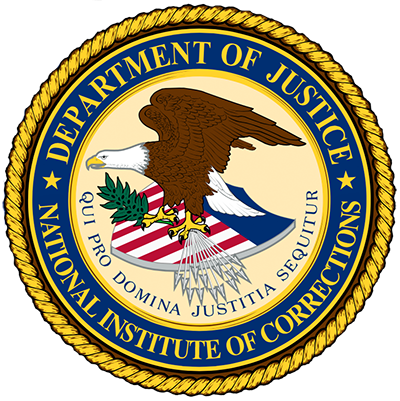 During this training 40 hour blended-training course, Correctional Industries administrators will develop the knowledge, skills and abilities needed to identify relevant organizational priorities, establish strategic objectives, identify measurable goals and objectives, establish collaborative partnerships, utilize current labor market information, and provide specialized services and programming that support the offenders’ long term attachment to the labor force. In this three-day session, participants will learn how to: administer informal assessments, learn strategies for collaborating with stakeholders, and establish a Career Resource Center.